Yesterday, Hawaii Democratic Rep. Tulsi Gabbard claimed “Assad is not the enemy of the United States”. Here is why this claim is un-American. When Americans were in Iraq, Assad organized convoys of fighters sending busloads of them from the very centre of Damascus to kill American soldiers in Iraq. Syrians watched those traveling in the buses. 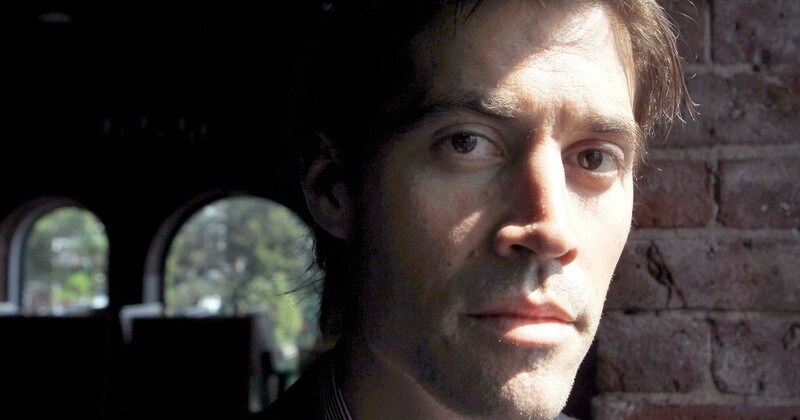 In 2011, Assad released extremists and terrorists that later became leaders in ISIS and Nusra, including ISIS’s Amr al-Absi who was released by Assad in June 2011, and orchestrated the slaughter of several foreign journalists and personnel including James Foley, and Nusra’s Abu Khaled as-Souri and hundreds others. Who killed the American icon Marie Colvin’s, and kidnapped Austin Tice and other Americans is an enemy to the US. Assad trained, equipped alQaeda fighters and Saddam loyalists and sent them to bomb Americans in Iraq and elsewhere in the world. Many international Al-Qaeda plots have Syrian links. The head of the Al-Qaeda-affiliated Groupe Islamique Combattant Marocain, which claimed responsibility for the suicide bombings in Casablanca in May 2003, trained in Syria. The prosecutor in the trial of the terrorists who attacked Madrid in 2004 suspects Groupe Islamique Combattant Marocain member Hassan el-Haski of involvement in the train bombings. In May 2004, Abu Musab al-Zarqawi’s lieutenants and, perhaps Zarqawi himself, held meetings on Syrian territory to plan terrorism in Iraq aimed at provoking sectarian violence. 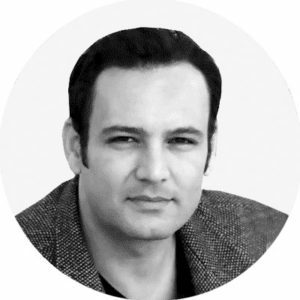 Syria harbored and refused to extradite Suleiman Khaled Darwish, Zarqawi’s second-in-command and, reportedly, a liaison between Al-Qaeda and Syrian military intelligence. Abu Faraj al-Libi, a high-level Al-Qaeda operative, met with several of his colleagues in Syria to plan terrorist attacks on the U.S., Europe, and Australia, according to testimony at his hearing. Hamid Mir, the only journalist to interview bin Laden after 9/11, explained in 2006, “Syria is a safe haven for Al-Qaeda now” even if Al-Qaeda does not trust the Syrian leadership. The question here is not if Assad is an adversary but how to hold him accountable for killing American soldiers, instead of defending their killer. Washington has accused Syria of harboring Saddam Hussein loyalists and allowing militants to move across the Iraqi border to kill US troops. Tons of Iraqi chemicals were shipped to Syria, which Assad used to bombs his own people later. The Assad regime has been backing Hezbollah, the terrorist organization that killed 241 U.S. marines in minutes in Beirut, and shouts day and night death to America. Assad is still providing unwavering support to Hezbollah publicly, including weapons, and training in Damascus sites like Draij. 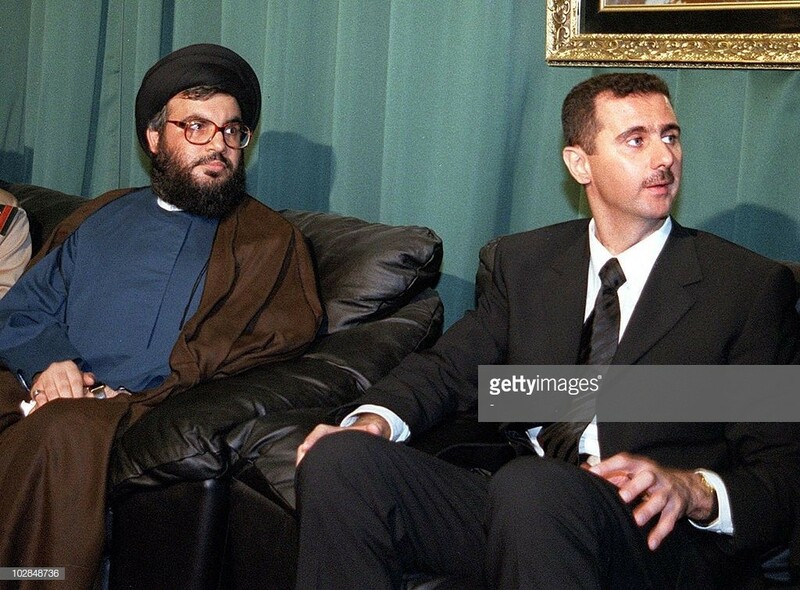 Hezbollah’s Hassan Nasrallah offering Syrian heir president Bashar al-Assad, on June 15 2000, his condolences over the death of his father Hafez al-Assad. AFP/Getty Images. 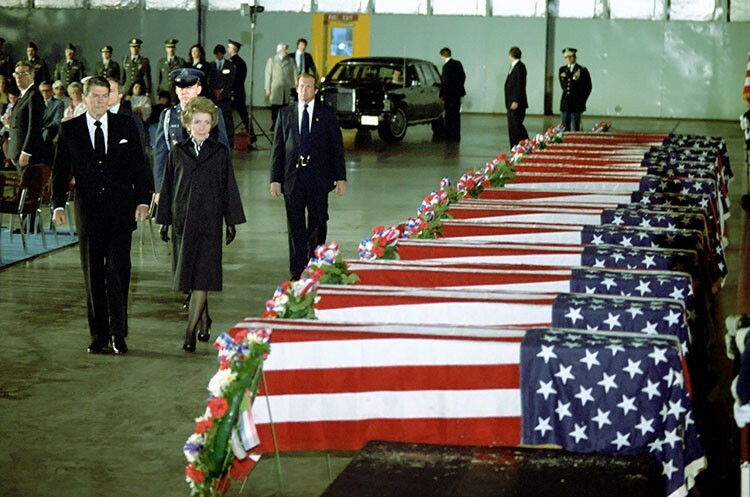 Hezbollah is the same terrorist organization that bombed United States embassy in Beirut twice killing 17 and 2 Americans. 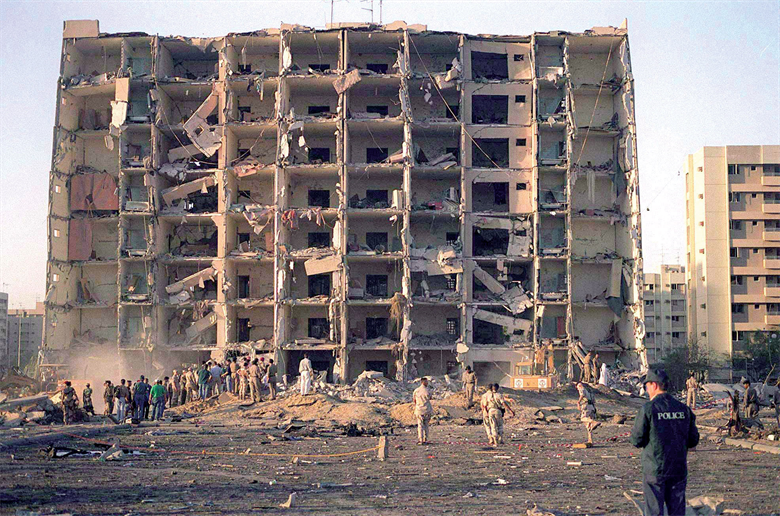 Khobar Towers in Dhahran, Saudi Arabia, killing 19 Americans and wounding 372. Hezbollah keeps committing terrorist attacks across the borders including in Istanbul, Cyprus Bulgaria, Germany, Mexico, Paraguay, Argentina, Brazil, United Arab Emirates, Kuwait, including drug trafficking. Hezbollah commits to an all-out fight to save Assad, for the same reasons for which the US classifies Hezbollah as a terrorist organization. To keep committing terrorist attacks against the US. The views to keep Assad in power, means agreement on keeping the sponsor of Hezbollah, giving the terrorist organizations more leverage and capacity to launch attacks on the US interests and citizens, and even on the US soil. In June 2017, two Hezbollah operatives were arrested for conducting surveillance of U.S. military and law enforcement facilities, as well as airports, in New York City in preparation for terrorist attacks against Americans. Iran who supported the hijackers of 11/9, and shouts day and night death to America, and has a long history of attacking the US and killing Americans, was the one who saved the Assad regime in 2013, and continued to paying any costs to keep Assad in power, including recruiting fighters from Pakistan, Afghanistan, Iraq, deploying Iranian troop, financing Assad with $1 billion “credit facility agreement” then an additional $3.6 billion line of credit. 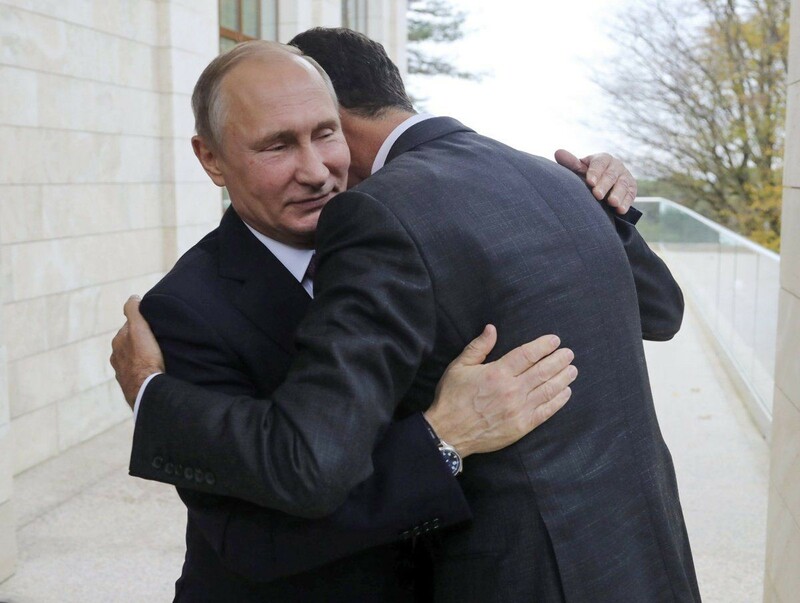 With all the support of Russia to Assad, no one thinks Putin is growing a friend of the US. Enemy of Israel, the greatest US ally in the middle east, and North Korea’s decades-old military ally. 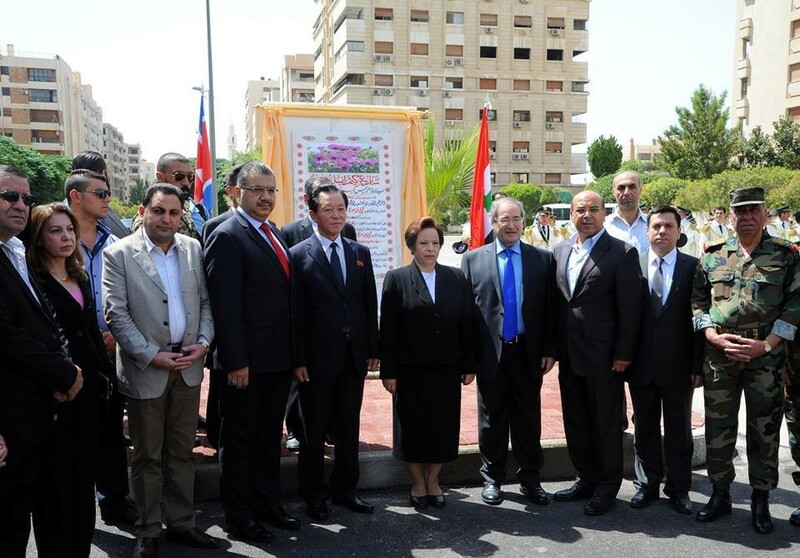 The regime who celebrated 9/11 should be the US enemy. The killer of US soldiers in Iraq should be the US enemy. The creator of ISIS should be your enemy. The most loyal Ally to Iran. The enemy of your best ally in the middle east. The regime that is raising generations in its school books and media on the hatred and hostility towards the US. Who killed hundreds of thousands of his own people, using banned weapons including chemicals, and middle ages techniques to torture and kill doctors, journalists, students, children, women, and democracy and human rights defenders is the enemy of humanity not only to the US, he should be the enemy of anyone who believes in humanity and dignity of human beings. Stacks of reports by the UN, int. human rights orgs., the US, providing evidence and accusing Assad of extermination, crimes against humanity, war crimes etc.. The US does not have to send troops to topple Assad, but Dems like Tulsi Gabbard should not use it as an argument, to deny the facts, smear the reputation of the democratic party, that adopt human rights and values. Unless she her real stance is to support Assad and speaks on behalf of a war criminal, playing the devil’s advocate. An opposing regime to US core democratic values, the fundamental beliefs and constitutional principles. Given all of the above, Assad existence in the middle east is one of the greatest threats to the US, as the Assad regime is being prepared to be more radical enemy to the US in the future, by every enemy of the US.